Whether you're hosting a gaggle of girlfriends or your neighbors across the street, it's not always easy to spare an extra few hours to prepare a full meal. Instead of cooking, turn to our favorite secret entertaining trick: the cheese board. 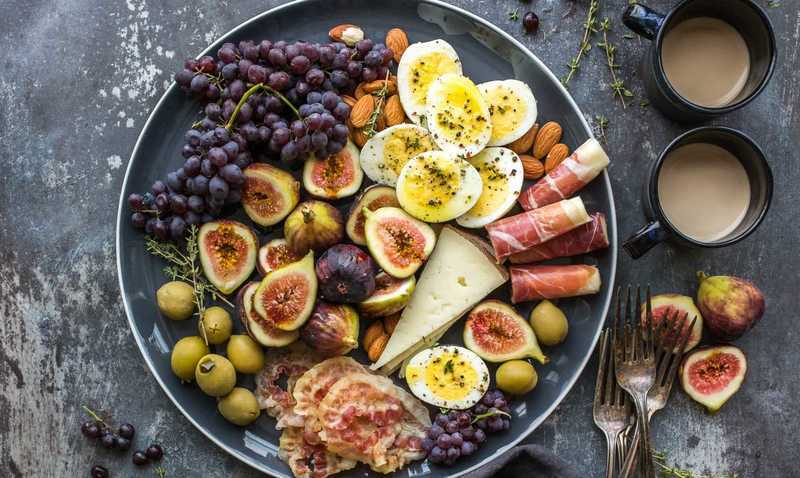 It only takes a few minutes to assemble a stunning appetizer platter full of bites and nibbles that even picky eaters will enjoy, if you shop wisely. Here are five tips for building the perfect cheese board — take a couple minutes to give it a once-over before your next visit to your local deli or grocery store. If you're lucky enough to have easy access to a cheese shop or a grocery that has a dedicated cheesemonger, head there first. No matter if you're a dairy-phile or cheese board newbie, a cheesemonger will be able to help you pick out the best for your party. Give the cheesemonger a budget, and let her know how many guests you are looking to serve. If the cheesemonger is good, she will ask you how adventurous you want to be with your cheese choices and what else you're planning to serve. Let her guide you to the right amount of cheese and the best pairings. Make sure to be honest with your likes and dislikes — if you hate stinky cheese and love medium-sharp cheddar, say so! If, however, you need to be your own cheesemonger, don't despair. Major grocery store chains can also offer a great selection of cheeses. Larger Whole Foods and Kroger stores often carry Southern-made cheeses, in addition to many different styles from around the world. If you're on a budget, Trader Joe's carries many easy-to-love cheeses such as high-quality, extra-sharp cheddar, goat cheese and Brie. When you're making selections for your cheese board, think odd numbers. Odd numbers of cheeses (or anything really) look the most balanced on display. 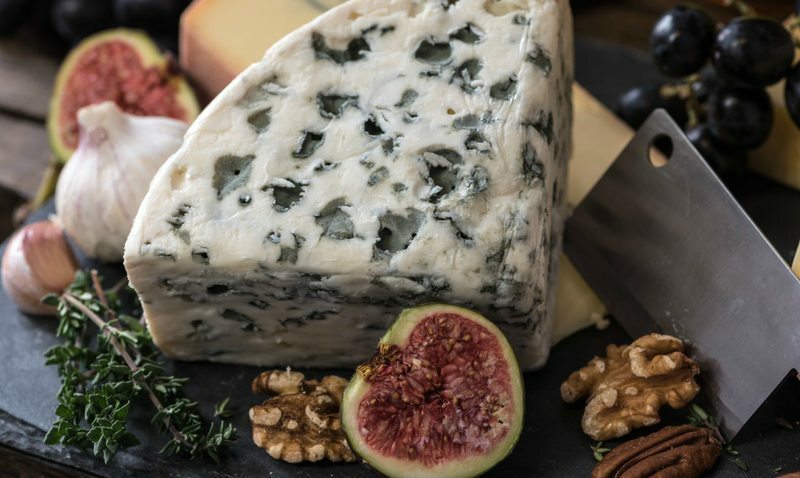 Three different types of cheeses are usually plenty, but you can serve up to five for a larger gathering — any more than that and you risk overwhelming guests with palate fatigue. Even one giant piece of cheese can make for a dramatic presentation. Aim to buy somewhere around 4 ounces of cheese per person; buy more if you're not serving a large main course, or less if the cheese board is part of a no-holds-barred feast. A good rule of thumb is to pick out a soft, medium and hard cheese. Don't be afraid to keep things safe with chevre, blue cheese and cheddar. Another classic option is to serve one cow, one sheep and one goat milk cheese. Whichever cheeses you choose, think about textural variety in addition to flavor — stay away from a platter of five different types of oozy, melty soft cheeses. And if you love the funk, remember that many guests may not, so keep your odoriferous selection to a single cheese. A cheese board isn't a cheese board without complementary nibbles. We like to add accoutrements in the following three categories: sweet, salty and crispy. Pick at least one item from each category, and add more if your cheese board is looking a little bare. Sweet: When looking towards sweets, we think it's best to stick with the tried-and-true. Grapes will always fit on a cheese board, and they'll pair with just about anything you bring back from the store. Fresh figs are likewise a natural friend to cheese, and they make for a visually stunning garnish, especially when sliced. Small amounts of dried fruit, such as apricots and dried cherries, are also great choices, as is honey. 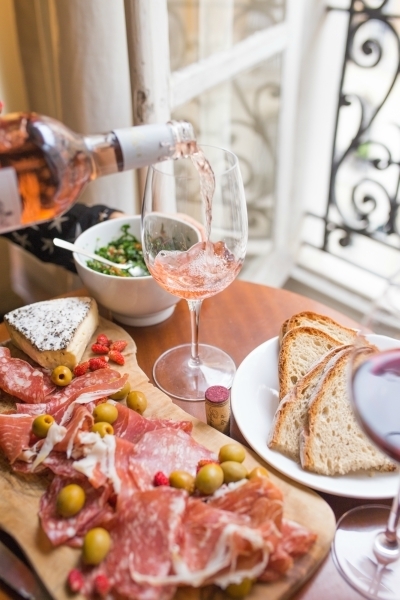 Salty/savory: If you're not planning to serve vegetarians, cured meats are always a delicious match to almost any cheese. It's best to have more than one option and, again, think in odd numbers. Our favorite trio is salty and sweet country ham or coppa, hearty pâté or pork rillets, and a spicy hard salami like sopressata. Get all of the salamis and hams sliced as thinly as possible for easy eating. If you love pickles, here is the place to shine. Cornichons or gherkins are always great, but feel free to go wild with any kind of pickled veggie. Carrots, okra, radishes and green beans are all fair game. We also like to throw in a bowl of olives — Castelvetranos are a current favorite — as well as a spicy seedy mustard onto the board. Another winner? Salty and rich marcona almonds. You'll usually find them in small tubs in the cheese section of the grocery. Crispy: What would a cheese board be without crackers? You'll always want to include at least one type of cracker on your board as a cheese-serving vessel. Or go wild with several options in varying textures and flavors. We're fans of black pepper water crackers, crunchy grissini (thin breadsticks) and thin, seed-filled crackers (many of which are gluten-free). If you're up for a little work, try making crackers yourself or thinly slice a baguette to make toasts. The number one thing that sets homemade cheese boards apart from store-bought deli trays is presentation, and the first step to a beautiful display is the right style platter or serving board. You have a few options here. While slate boards are currently having a moment in the spotlight, we think that wood cutting boards make some of the prettiest (and most functional) cheese board displays. 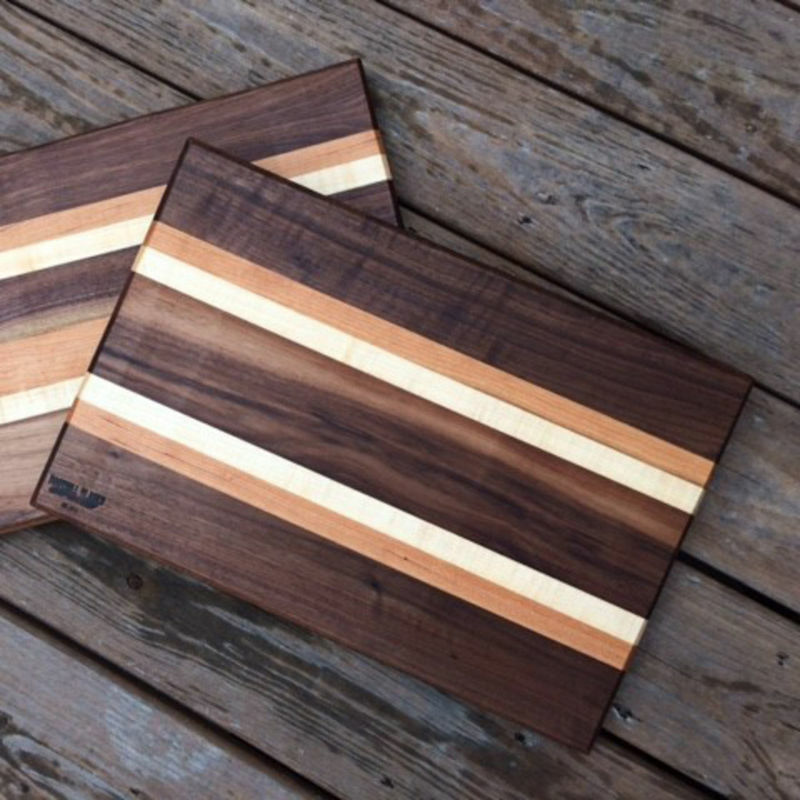 Any wooden board from your kitchen will do, but if really want to step it up a notch, try using a hand-made and completely unique board. Make it even easier by seeking out cheese board sets, which often include cheese spreaders and knives. If you prefer a more blank canvas to build your board, look towards large, white platters. The cheeses and all of their accoutrements will really stand out when plated on white stoneware. You can go round or rectangle — whichever fits best on your table. Once you've got all of your shopping done and your serving board picked out, it's now time put together your display. Before you slice anything, make sure to bring your cheese up to room temperature. Straight-from-the-fridge cheeses are cold, hard and aren't expressing their best flavors. Let all cheeses sit out on the counter for at least an hour before serving. Keep them wrapped to prevent them from drying out. When it's close to serving time, unwrap your cheeses and space them evenly on your display board. You can pre-cut your cheeses if you like, but be sure to follow the natural shape of the cheese itself: Logs should be sliced into thin rounds and wedges should be sliced into thin triangles. Resist the urge to cut anything into a cube. The easiest solution, however, is to have your guests cut the cheeses themselves. Pick out one knife per cheese to keep things tidy. Next, layer in any cured meats. Fold large slices into halves or triangles and group each meat into its own small pile next to the cheeses. Organize olives, mustards and honey in small bowls. Pickles can be plated in small piles directly on the board or placed in those small bowls. Scatter nuts and dried fruit around the board, and fill in any gaps with fresh grapes and crackers. For a final touch, add fresh seasonal herbs or flowers into any remaining gaps on the board. Now just pull out the wine and napkins -- you're ready to serve.